Accurate spreading in irregular shaped fields. 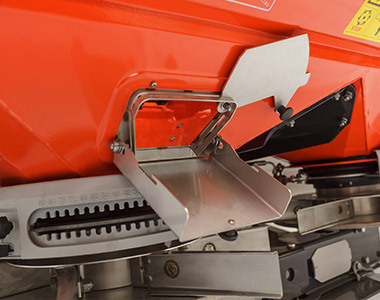 The DSX-W GEOSPREAD is equipped with two actuators on each dosing unit. One of these actuators controls the setting of the discharge point of the dosing cup onto the disc (letter setting), the other controls the application rate. 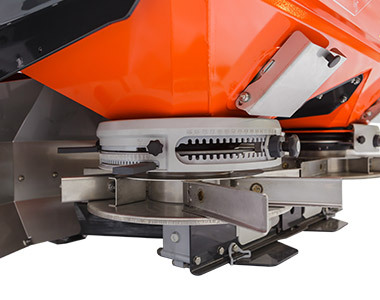 The GEOSPREAD system makes it possible to adjust the letter setting individually for both discs electrically from the tractor cab. 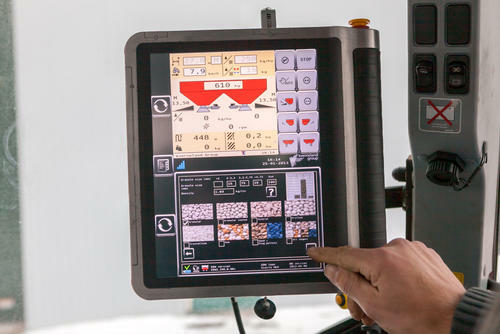 This means the working width can be easily adjusted quickly and accurately just by touching the ISOBUS terminal! 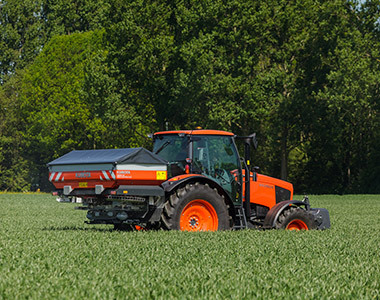 The Kubota DSM-W GEOspread has the same hopper size as the DSM (-W). Because of the slow rotating agitator it can spread up to 30 metres. Another advantage of the DSM-W GEOspread is the 4 load cells and the GEOspread functionality. 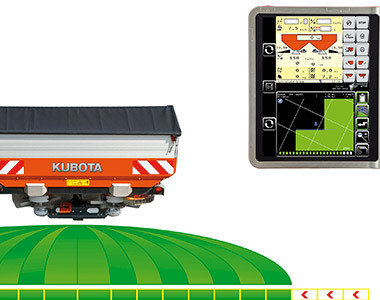 The DSX-W GEOspread also has 4 load cells, a reference sensor and the GEOspread functionality, but more capacity because the hopper volumes range from 1,500 - 3,900 litres and a maximum spreading width of 54 metres.